Wow, this year already feels like it is flying by. I had fairly modest goals for Q1 because I like to have some freedom for random projects and because I really didn't have that many WIPs to finish up. So even though my goals weren't super ambitious it was good to have a reason to make sure that they all got completely finished up. 1. I really enjoyed finishing my + and x quilt. I just love all of the colors and craziness, not to mention that this has been sitting around longer than any other project I had started. This quilt is listed in my etsy shop. 2.I also finished my Scrappy Trip Along quilt. This one is going to my nephew later this year. 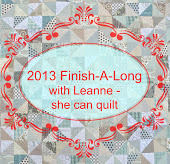 I had fun using up some scraps and enjoyed the challenge of making a quilt without pink or purple. I recently added a tab up at the top of the page with my finished quilts so if you want to see all 8 of my finished quilts this year, you can click here. I am looking forward to setting some new goals for Q2 and am looking forward to spending some time this week reading all about what everyone else has been able to accomplish. 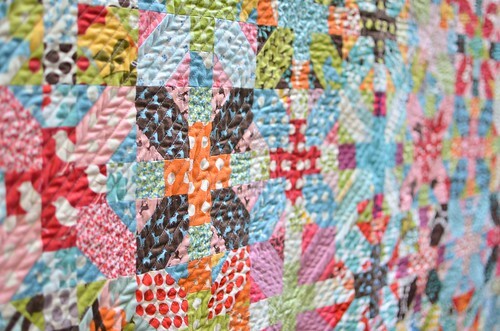 Beautiful finishes - the do.Good Stitches' quilt is such a clever design and I love the fabric choices. Wonderful finishes! I love them all. Can't believe you are parting with your X & + . Perfect quilting by the way. Terrific finishes, all of them! 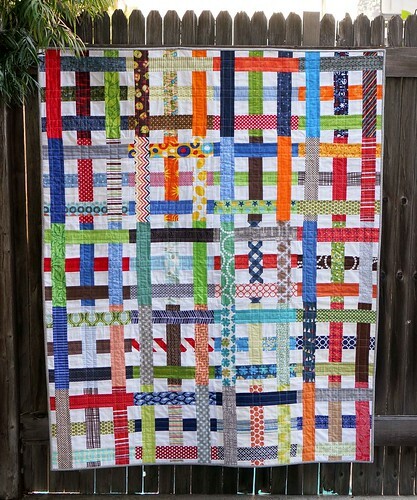 I love the Cross-X blocks and the way you quilted it. It looks great. And the do.Good.Stitches quilt is is a fabulous design, all woven together. Three completely gorgeous quilts Erica - great job! Can't wait to see what you come up with in the second quarter! Well done. 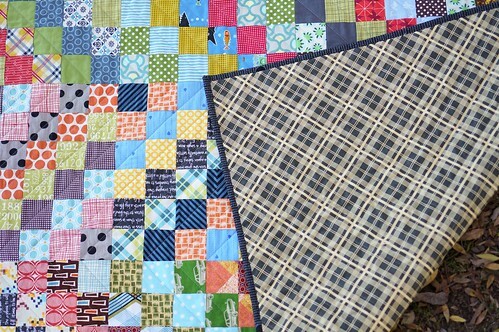 Three lovely finished quilts. Great finishes! I love your colourful style. All three of your quilts are beautiful! Wonderful finishes!